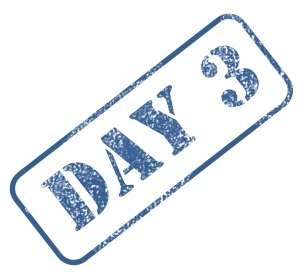 It’s day three of this years first 21 day declutter challenge. And today it’s time for bags and backpacks. You know how some people loves and collects purses? Uhu.. that’s not quite my cup of tea. What is me, you’re asking? I think I can clearly state, I’m a backpack kinda girl. 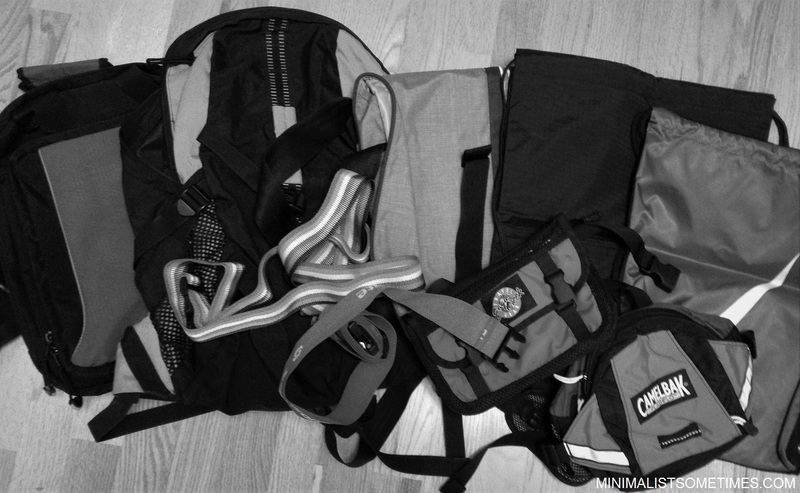 I’ve always been partial to backpacks, laptop bags, hip bags, travel bags and sport bags. What I am saying is you’ll be finding more bags than purses in my home. Today, I cut my “collection” almost in half. I bet you are expecting to see this huge pile of bags on the floor, now, aren’t you? Sorry.. have to disappoint you! Since I have been downsizing my bag “collection” a bit the last few years (at least 22 out-the-door), this pile is relatively small. Even so, I just about cut my current collection in half. 8 bags; backpacks, gym sack, duffel bag, laptop bag and shoulder bag. Gonna do the same. I’m back at it in 2017. Thank you for the inspiration! I’m with you, Anne ~ not many purses . . . but lots of bags, sacks, and packs. Here’s the kicker ~> I organized and weeded through our bags last night and this morning with NO IDEA that you were doing the same thing over there. Great!! You “bagged” it on this challenge! January 22, 2017 - 5:39 am Melanie C.
For me there’s always a story behind an article so I have trouble letting go of my things! Anyone else have the same problem? Yes, I definitely have this problem! Yeah, I get what you are saying. There are a few items I struggle getting rid off, even though I don’t use them, don’t display them, hardly even like them… but they have affectionate value (sort off) it might be the only thing I have from someone who was important to me, or it’s something that brings back fond memories or whatever reason… and those are the things I’m still holding on to. February 17, 2017 - 1:00 am Melanie C.
Photos are my nemesis too. I have thousands and thousands! I’m with you too! I love backpacks. I dread it when I have to look for a new purse. I use them until they’re completely worn out and there’s no reason to keep them once I’m done with them. I’ve always loved backpacks, and have worn a few of them to shreds… but lately after I got a couple of purses (gifts) and also no longer work… I find I don’t use them as much.